Please call for availabilty. We have Princess Cindy, Snow Queen, Ice Princess, Snow White, Tinker Fairy, Pretty in Yellow Belle, Pretty in Pink Aurora. 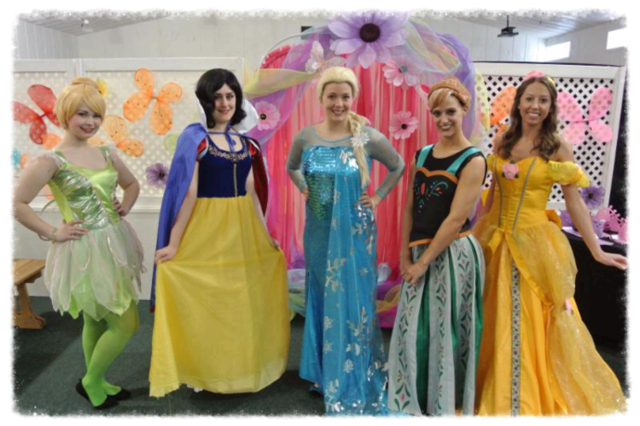 Ask about our Backyard Princess Tea Parties - everything included!